It’s been a tumultuous but exciting year for Sydney-born chef Anthony Musarra. The Van Haandel Group’s general manager has had to deal with the destruction by fire of the recently refurbished Stokehouse Melbourne and then watch the opportunity to open a Stokehouse at the Opera House slip through his fingers. He’s overseen the transformation of the not-quite-right Trocadero into Fatto Bar & Cantina and he’s birthed Stokehouse City, which opened just a few weeks ago, while making sure Stokehouse Brisbane is firing on all kitchen burners. In March he lost his father to cancer. 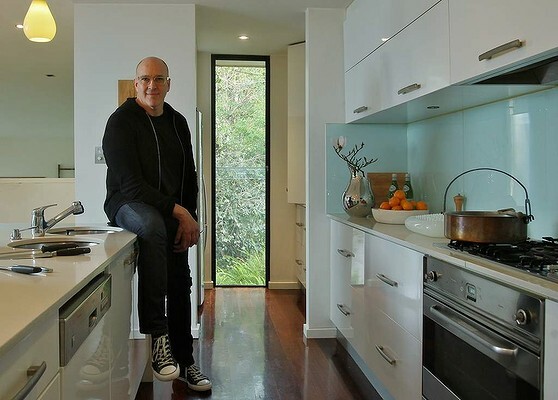 It’s no wonder that at home, which Musarra shares with his wife Louise and their three adult children Max, 17, Emma, 20, and Meg, 23, the rule around cooking is ”keep it simple”. Find out what Anthony keeps stocked in his pantry here.